There is one post filed in vitamins. If a person undertakes any sort of blood testing, it’s possible for their vitamin levels to also be tested at the same time. During normal testing, a variety of vitamins are often checked, such as potassium, Vitamin D or B Vitamins. By the same token, if someone appears anemic to the physician, the level of iron in their blood is a good way of determining if something is wrong. Typically if a physician suspects a vitamin deficiency, one of the first places they look is at the Vitamin D level. Any deficiencies in vitamin D or can cause problems with bone growth or a decrease in metabolism. Diseases related to improper fat absorption, such as Chron’s disease, is detected often through Vitamin D levels. When people think about Vitamin D, they think of a simple essential vitamin our bodies naturally produce for us. However, Vitamon D comes in two forms: 25-hydroxyvitamin and 1.25-dihydroxyvitamin. For example, if your calcium levels are detected to be lower than they should be, a physician will conduct a 25-hydroxyvitamin test to see if that’s the cause. There could be several reasons for a 25-hydroxyvitamin deficiency, such as improper absorption of the vitamin or not enough sun exposure. On the other end of the spectrum, too much calcium in the blood could be a result of 1.25-dihydroxyvitamin levels. Low levels of this essential vitamin in the blood are indicative of possible kidney failure, whereas high levels indicate excess production of parathyroid hormone or possible lymphoma. Doctors have known for decades that macrocytic anemia can be tested for in blood in many cases by B-12 concentrations. This vitamin is essential to the body’s metabolism, which is why it’s tested. If individuals show signs of malnutrition or nerve damage, their B-12 vitamin levels will likely be outside baseline. If a low level of B-12 is detected, this is typically a sign of anemia or neuropathy. Whereas if a high level of vitamin B12 is detected, this can be a sign of liver dysfunction or leukemia. 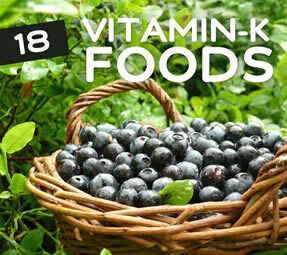 Another essential vitamin for us is Vitamin K. There are 3 types of this essential substance: Vitamin K1, K2, and K3 . If a person is identified with a deficiency in this vitamin it’s often linked to malabsorption, drug interactions or diet deficiencies. If a person, for example, notices that they bruise easily or bleed more than a normal person would if injured, this can be a sign of a Vitamin K deficiency. In order to test for this deficiency doctors have used what they call the “prothrombin time test” for decades. This is used to test the body’s clotting response. Injections of Vitamin K are prescribed if it takes longer for a sample of blood to clot than normal. If after this injection the blood clots as normal, or quicker than before, the doctor then knows that the person has a Vitamin K deficiency. Another popular test with doctors is to test for a deficiency in calcium in the body. Calcium, which is used in our bones and teeth, is an essential substance for nerve function and muscle contraction . Many times they call these tests CMP or BMP, which stands for either comprehensive or basic metabolic panels. These are used often by doctors to test for various factors that could influence people’s bodies. For example, if there’s too much calcium in our bodies it’s known as hypercalcemia. It can be a sign of an overactive parathyroid. Calcium is an important factor to consider if other symptoms develop related to this substance, such as inflamed joints or other problems. It’s important to report any sort of problems you experience related to these symptoms of vitamin deficiency to your doctor. He will be able to test for them rather easily and quickly and produce good solutions if this is indeed the result of a deficiency of some sort. Also, various factors can indicate more chronic health problems, which if caught early, can be treated much better than later down the road.